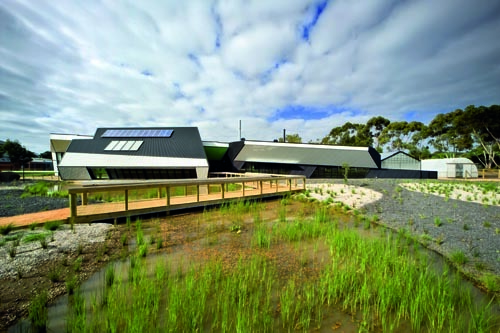 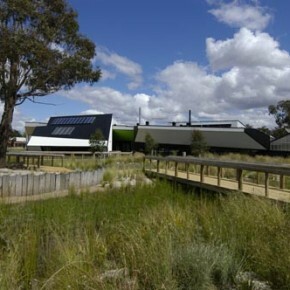 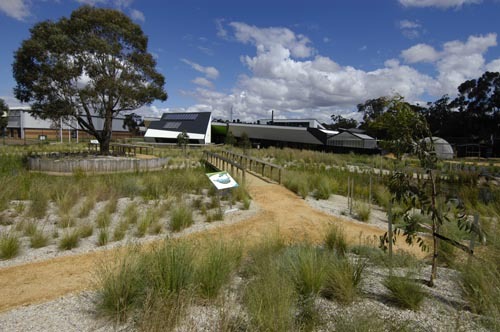 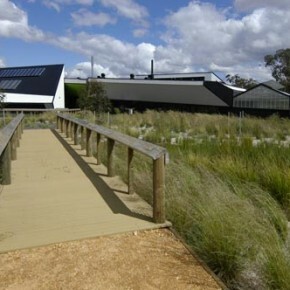 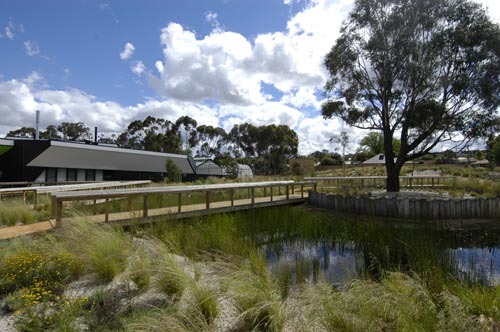 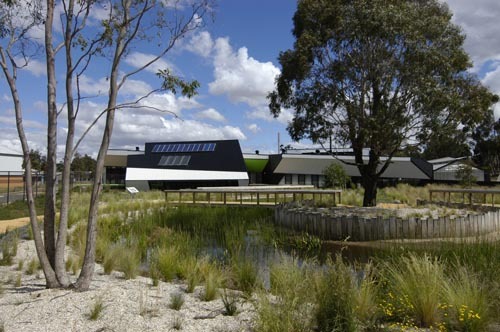 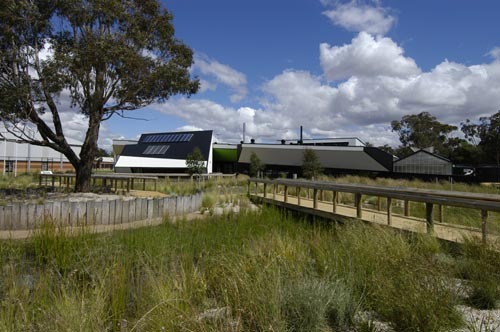 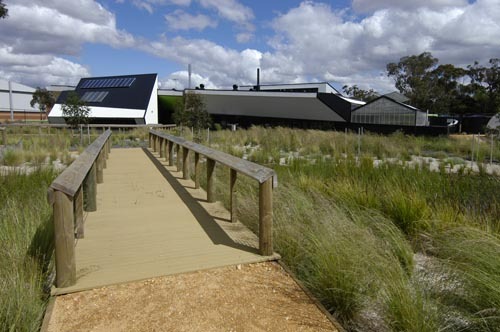 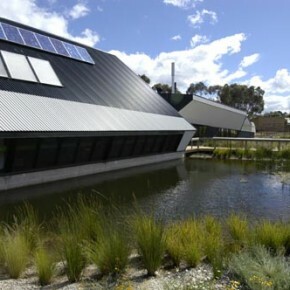 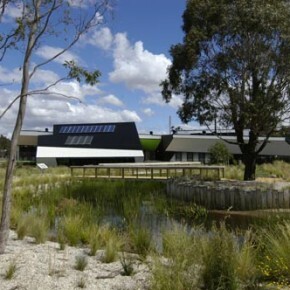 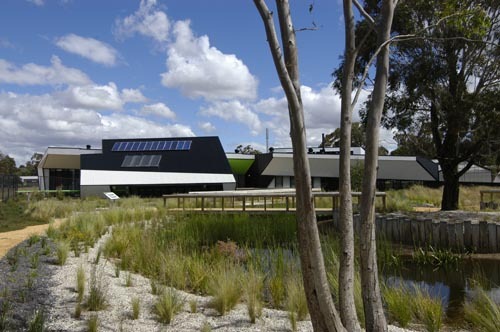 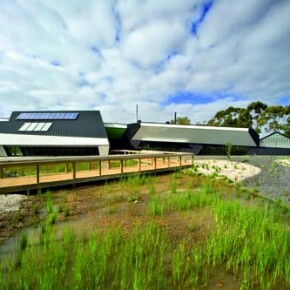 The Ecolinc project at Bacchus Marsh Secondary College demonstrates a new level of potential for the design of school landscape environments. 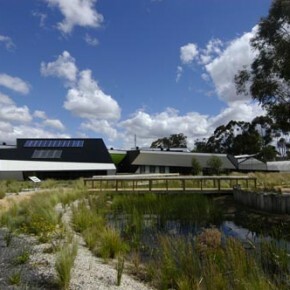 The school and the local council ( Moorabool Shire Council), along with the University of Ballarat have come together to demonstrate physically how a learning environment can be completely integrated with its own mission. 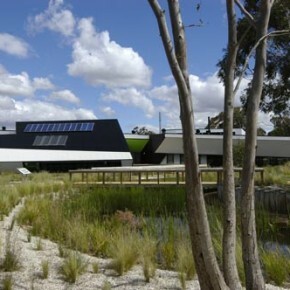 Here the medium is very much the message. 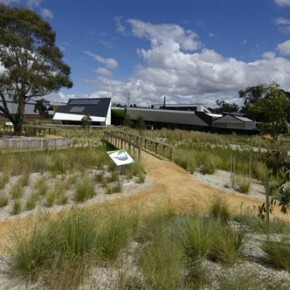 For us this is constructed ecology in action. 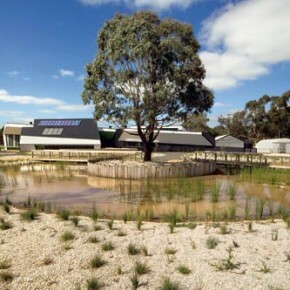 The site was a fairly typical left-over and weed infested grassy paddock adjoining the school periphery with a scattering of exotic deciduous and native trees with close to zero ecological value. 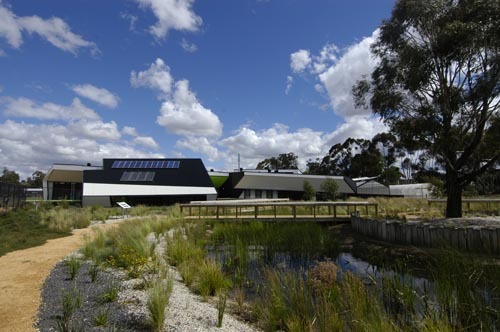 The built outcome is a biodiverse teaching and learning habitat for visitors, staff, students and many other species besides. 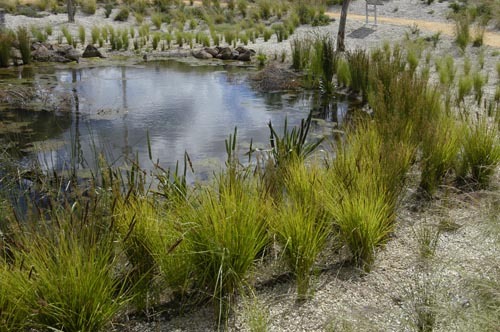 The project is centered around a constructed wetland, which is fed by recovered street storm water from a local diversion pit. 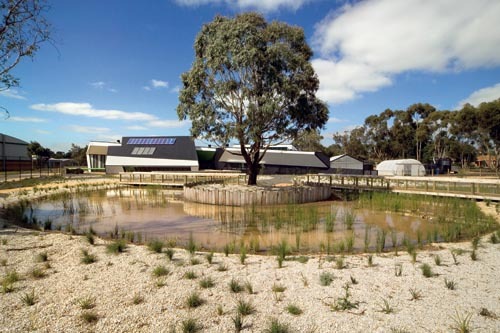 Water is collected, stored and treated on site, primarily to create the wetland from the dry school paddock. 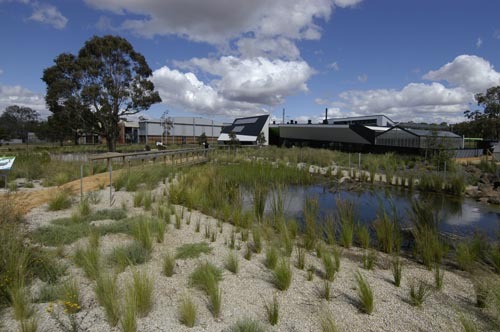 Discharged water is monitored and is of greatly improved quality as it drains to the nearby and highly stressed Werribee River. 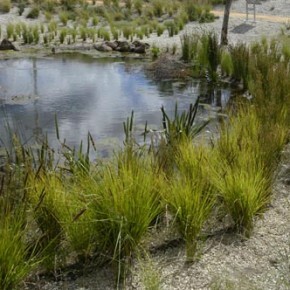 Terrestrial plantings are all local indigenous species. 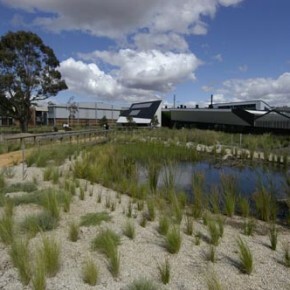 These and the aquatic plantings were all grown specifically for this project and are of local provenance. 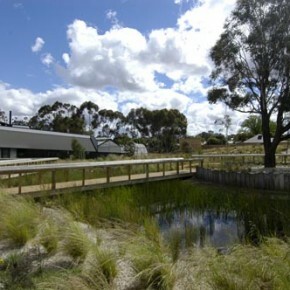 The project is in essence a work in progress a participatory science experiment for all to share. 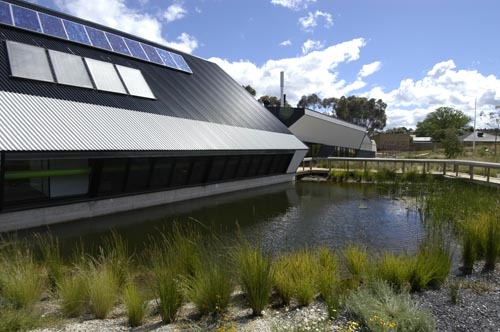 The multi-award winning building and the landscape are not just the physical containers but are themselves the subject of investigation and the source of knowledge.